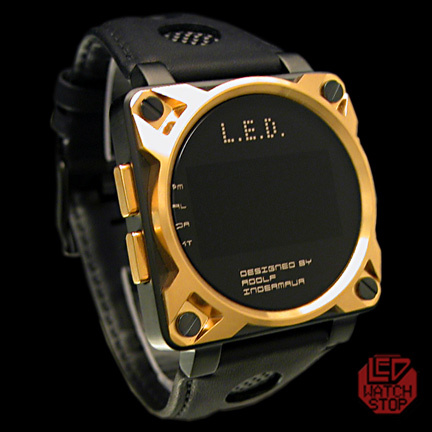 Featuring a fantastic race/pilot inspired style with oversize square case with screws and beautiful gold finish. 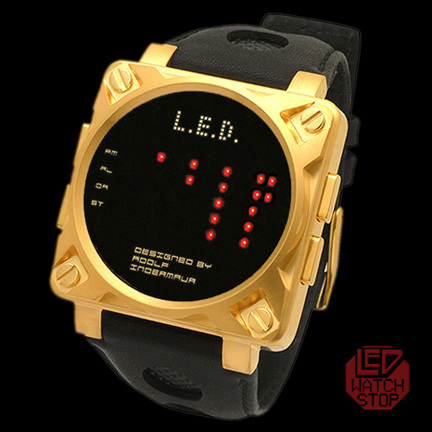 Accented by an ultra comfortable genuine leather strap with classic buckle and bold red LED display and cool mirrored logo. 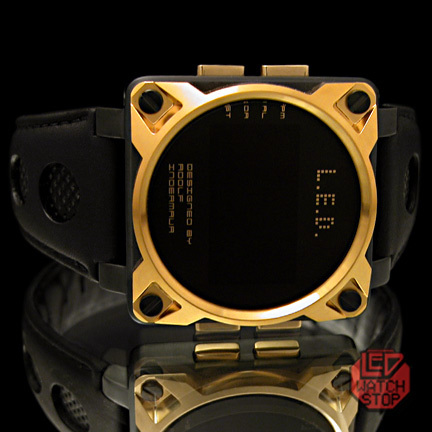 This watch is devestatingly cool and guaranteed to create interest and conversation.